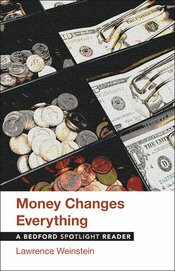 Money Changes Everything explores questions around the concept and institution of money. Helping to prepare you to write about relevant topics in this area, readings by a range of economists, philosophers, reporters, artists, and ordinary citizens are included. 1. Can We Buy Happiness? Charles Murray, What’s So Bad About Being Poor? 2. How Does Money Shape Relationships? David Amsden, What’s a Little Money Between Friends? 3. Is Money To Blame for Unethical Conduct? Arianna Huffington, CSI USA: Who Killed the American Dream? 4. Can Huge Differences in Wealth Be Justified? Briallen Hopper and Johanna Hopper, Should Working-Class People Get B.A.’s and Ph.D.’s? 5. Has Money Blinded Us to Higher Values? Murray Sperber, College Sports, Inc.
David Van Biema and Jeff Chu, Does God Want You to Be Rich? Sundry Authors, Has the Pursuit of Money Become a Religion? 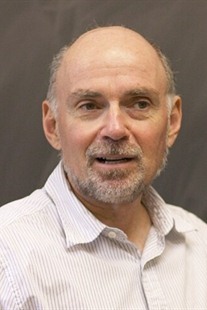 Lawrence Weinstein taught the first-year writing course at Harvard University and cofounded Harvard’s Writing Center. For nearly thirty years, he was a member of the English Department at Bentley University, where he directed the Writing Center and the Expository Writing Program. His book on the teaching of writing, Writing at the Threshold, was a longtime bestseller of the National Council of Teachers of English (NCTE). Other books by Weinstein include Grammar for the Soul, Grammar Moves (with his colleague Thomas Finn), and Writing Doesn’t Have to Be Lonely. Plays by Weinstein have been performed in Boston, Dallas, and New York.